Since the sale of Andy Warhol's Supper painting, the artist has been a frequent feature in Bukowskis' contemporary and postwar sales. This year, an early portrait of jazz musician Bobby Short is the lot to watch. The triptych was executed in the autumn of 1963, from the same period as Warhol's famous portraits of Liz Taylor and Marilyn Monroe. Bobby Short, 1924-2005, was a much-adored jazz musician who was signed to Atlantic Records for over thirty years. The piece has an estimate of $827 000-950 000. 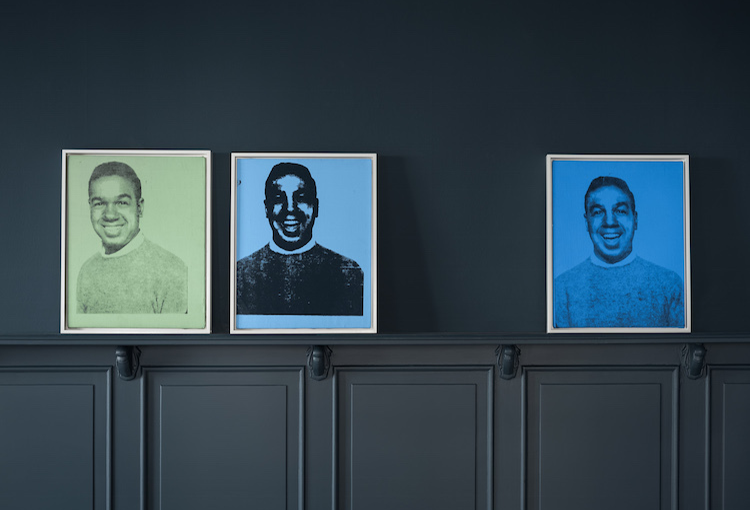 ''These artworks are not only from his most interesting and challenging period, they are also unique in that they add a piece of the puzzle to the image of the enigmatic Warhol. Here is a hint of warmth and presence. It is incredibly exciting that we are once again allowed to provide international art of this caliber,''commented Anna Persson, Head of the Art Department. Bukowskis Contemporary & Design looks set to be one of their stronger auctions for a while, with several top lots including Irving Penn's Cuzco Children, 1948, Ann-Sofi Sidén's Queen of Mud (1997), and several key pieces by Klara Lidén and Nathalie Djurberg, all of whom have had great success on the international audience. The auction takes place on 11th November. Check it out on Barnebys here.